As today 11 Mar 2011, GENTING closed at RM10.00 phicology level & strong support level. 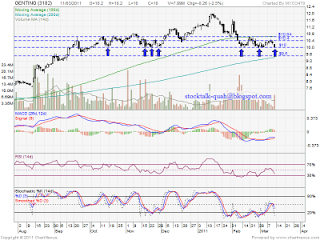 If able rebound, RM10.40 & RM10.64 would be near term resistant level. 1. NO reversal candlestick been formed. 2. MACD at negative region. 3. Stochastic %K NO trigger any buy call. 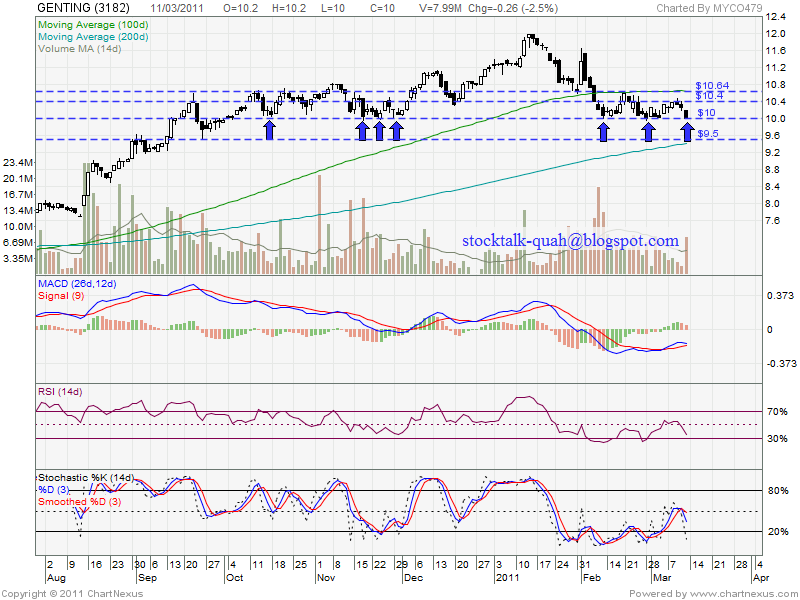 If break down RM10 support level, it might retest MA200 support level which is RM9.50 level.